Does you feel like the Bible is filled with inconsistencies and contradictions? Do you wish the Bible was more practical to what you are going through today? Are you searching for an up-to-date version that offers real spiritual growth? For the First Time Ever, here is a spiritual Bible interpretation of The Gospel of John, chapter-by-chapter, verse-by-verse! The Gospel of John: New Metaphysical Version transforms the traditional content into a practical application to help you deal with the problems you are facing every day. Bring the Bible up to date and discover the hidden meaning behind every word in every chapter! Use it as a Personal Study Guide! 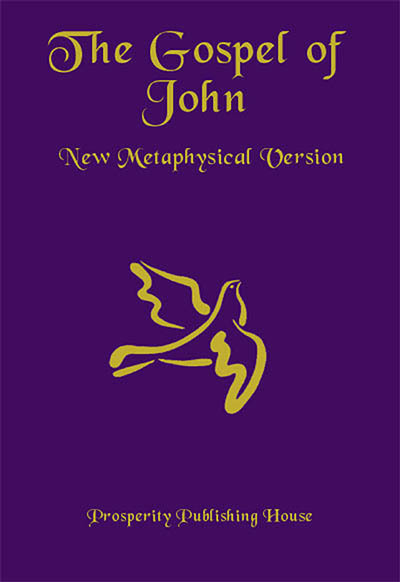 This New Metaphysical Version of John reads verse-by-verse alongside whatever traditional version you prefer to read. Use it for Group Classes! The New Metaphysical Version stimulates a lot of discussion, as students gain new insights into familiar verses and Bible stories. $21.95 Available in digital (PDF) format and hard cover book. Bookstore discounts available.